Good morning! April showers are here in NY, and I'm thinking Spring flowers! 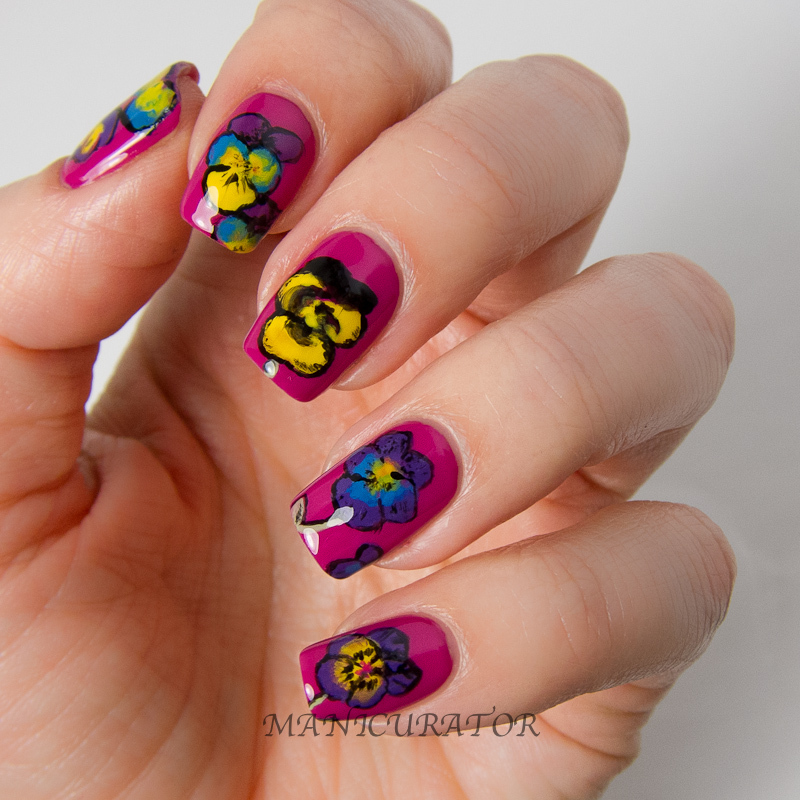 I'm set on improving my flower nail art..and I'm quite proud of how these turned out :) I used shades from the amazing debut of KBShimmer creme shades. 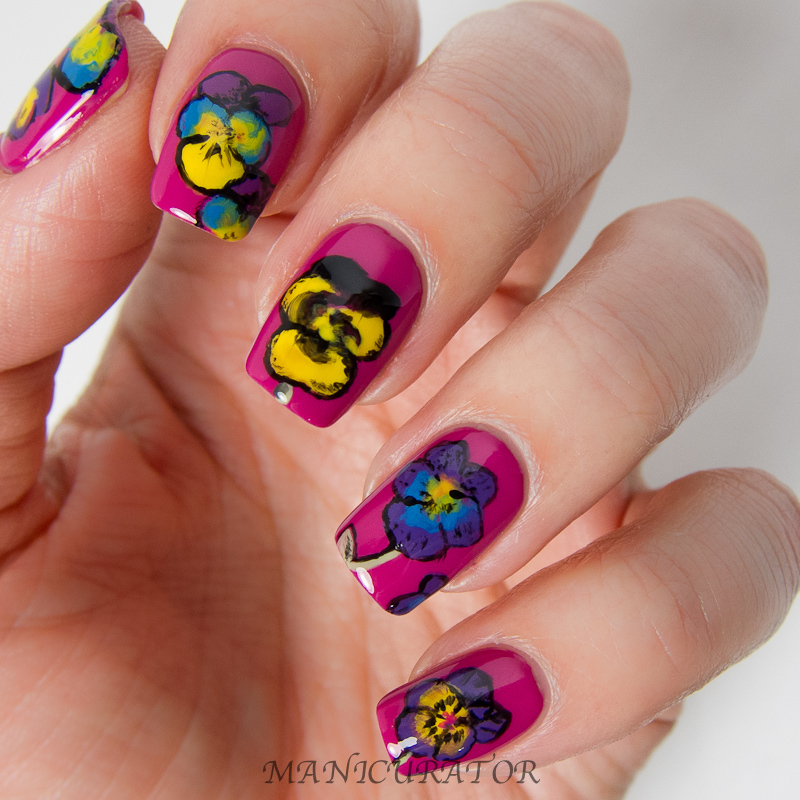 The flowers are all freehanded with a small nail art brush. Actually two different ones. I did the black outline with a thinner one than the rest of the flowers. These were just so pretty on, I wish I could have worn it longer! If you haven't seen my review for the KBShimmer creams you can check it out here! These look amazing! You're making me want to buy all of these colors! Such pretty flowers! There very unique too. very beautiful! so on spring! OMG this is amazing! I love it! WOW! This could definitely be my favorite nail look you've done! Ooooh, I love this!!! 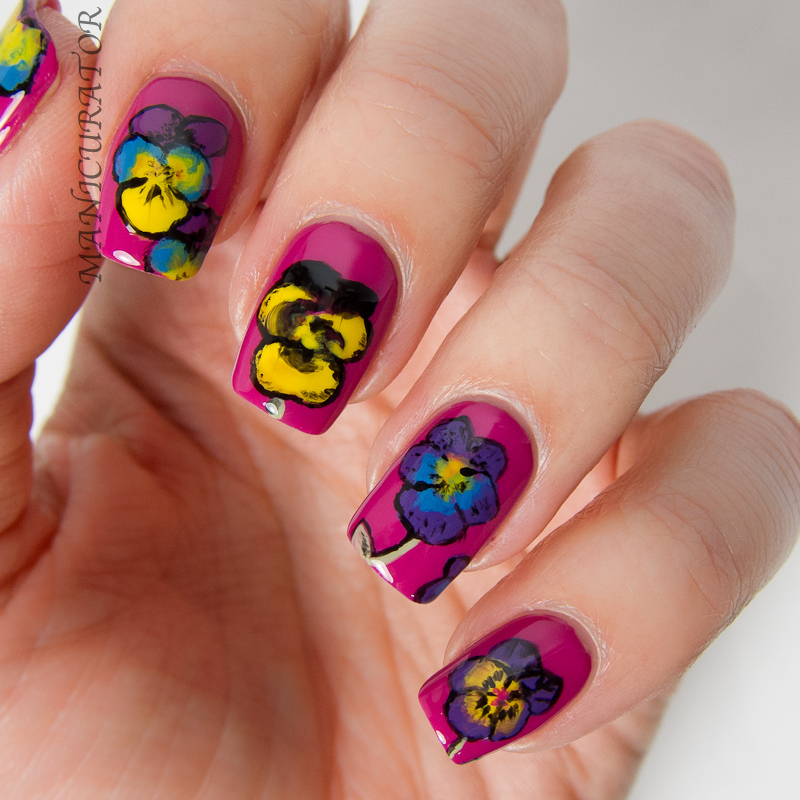 Pansies are one of my favorite flowers and you painted such pretty ones. Love their cute lil' faces. This is beyond gorgeous! I really like the pink base. They are absolutely gorgeous! I love it! Aww, I didn't mean anything bad by my comment, I promise! 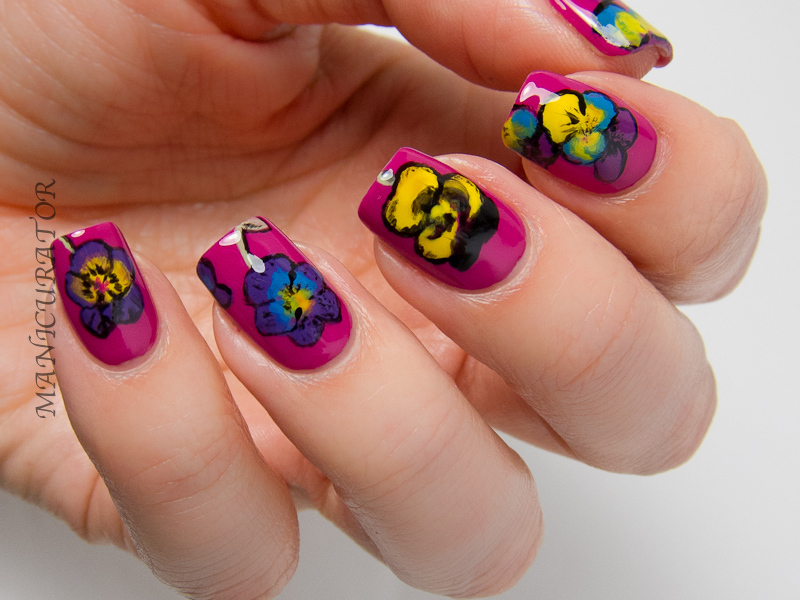 I know that roses are very popular when it comes to nail art, and I don't think I've seen anyone do pansies. I really like that you're thinking outside the box. So pretty! These are great for spring! These are so so pretty! Fantastic job! those are beautiful!! You're an artist!! !